Grafton Manor Hotel is set the the Worcestershire countryside in Bromsgrove. It has been hosting weddings for as long as I can remember, and I'm pretty sure the first ever wedding I worked at was here. Grafton has a few rooms that are licensed for civil ceremonies, including, rather amazingly, an old chapel! The chapel directly joins the venue's marquee that can take up to 200 people for a wedding reception. The bridal suite at Grafton Manor is a large, beautiful room with space enough to take even the largest of wedding parties. 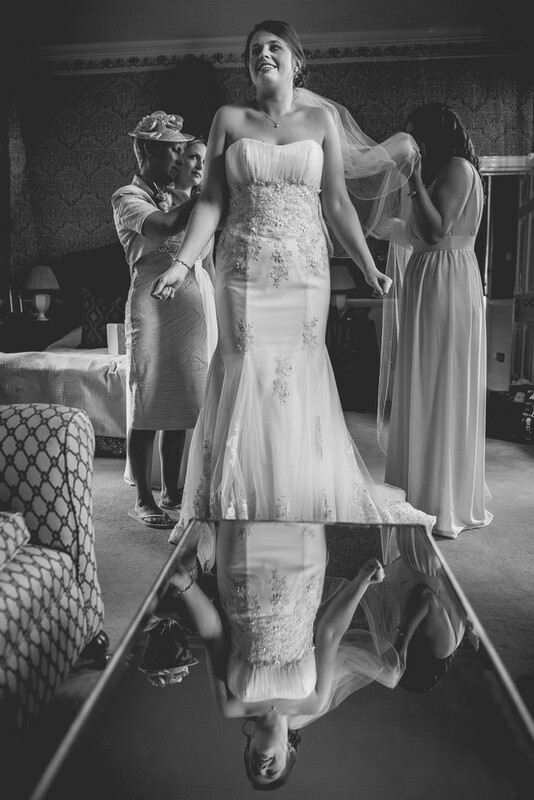 For Kirsty and Andy's wedding, the bridal party chose to get ready here, whilst Andy and his best man got ready at home and traveled to the venue later. For me, one of the key selling points of Grafton Manor as a wedding venue has to be the grounds. There is a huge lake down a gentle slope from the venue, with acres of diverse gardens surrounding it. Grafton is a wonderful place in this respect, as from the lake, every direction you look gives you a very different background. 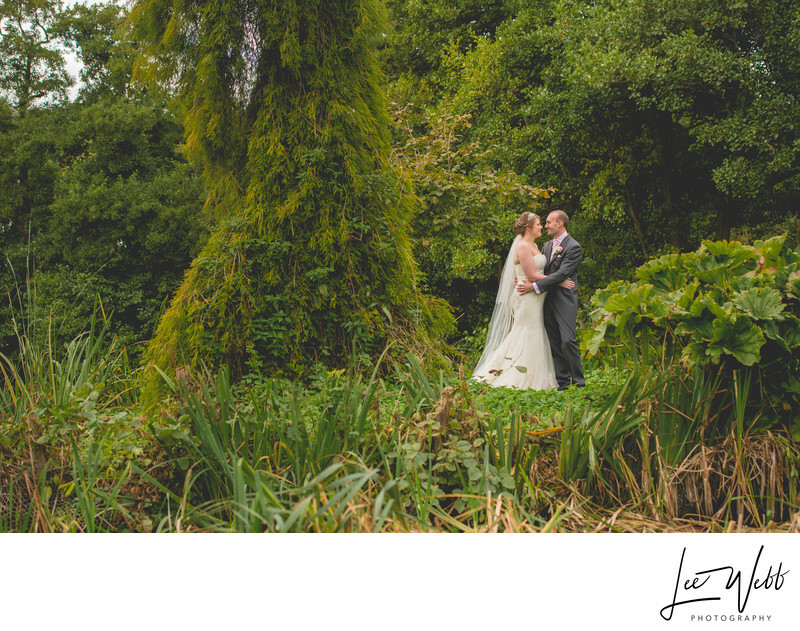 For this photo of Kirsty and Andy, I stood the couple on a little patch of land that juts out into the lake. I really like how the greenery in the photo really helps frame the bride and groom. To view the Grafton Manor wedding website, please click here. Location: Grafton Manor, Bromsgrove, Worcestershire.